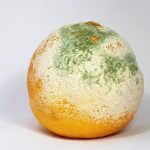 Mold is a type of fungus which typically grows and spreads in moist environments. Since molds are basically living organisms, they feed on organic matter to survive and grow bigger. This could be organic matter found on wood, fruits, bread, or any material that has moisture and is the proper temperature. When most people think of mold, they think of black mold. This is what you often see in residential homes, whether it’s in the basement or on the ceiling. If you stay in an environment with black mold, it can make you very sick. However, this is just one type of fungus. White mold is another type of fungus that is still bad for your health too. Even though it looks brighter and more vibrant, that doesn’t mean it is any less of a health risk. Where Does White Mold Usually Grow? Why Does White Mold Grow? White Mold Prevention: How to Prevent White Mold? 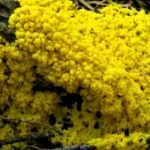 Molds and fungi have all different colors in nature (see also: Yellow Mold, Orange Mold) . Our homes are susceptible to white mold just as much as they are to black mold. White mold will spread inside your home if the temperature and humidity are at the appropriate levels. Aside from the color, it generally has the same characteristics as darker colored molds. White mold thrives in moist environments and feeds on organic matter too. The only reason it is a lighter color is that it doesn’t have as much spore pigmentation. If you happen to spot white mold, you need to be concerned about it like you would with black mold. People often don’t recognize white mold right away because it is a very light color that is almost translucent. But even if you do spot some strange whiteness on your walls or flooring, that doesn’t necessarily mean it is white mold. All mold starts out as something called mildew, which is an early form of the fungus. Mildew is a white powdery color and it appears on the same surfaces that mold grows on. The difference between mold and mildew is that mold will go through the surface and damage the material inside. Mildew stays on the surface and will only become mold after it grows extensively. Once that happens, the mold will ruin your walls, furniture, wood or any other porous structure. Another substance that looks like white mold is crystalline efflorescence. This substance is normally found on the surface of concrete. It is the result of moisture making contact with the concrete, causing salt deposits to be left behind. These salt deposits may be the white substances that you see on concrete. To know for sure, spray a mist of water onto the white area of the concrete. If it is only efflorescence, then the whiteness should dissolve in the mist. If it does not dissolve, then it is mildew. As for wood and furniture, you won’t see salt deposits on them. It will either be mildew or white mold. Mold will grow if certain environmental conditions are present. These living organisms feed on organic matter as its food source, which is normally dirt. There also needs to be an excessive amount of moisture in the environment with very little airflow. 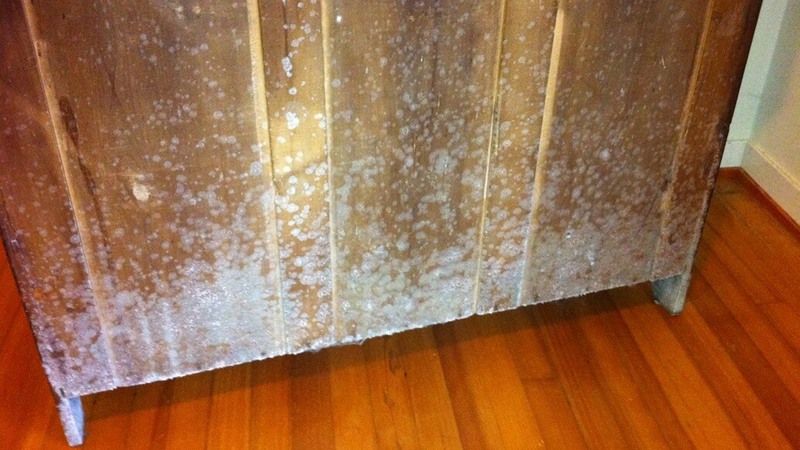 That is why bathrooms, closets, and basements are the three most common areas in a home to harbor mold of any kind. However, when it comes to white mold, it mostly grows in the soil. But if you track that soil indoors or within the crawlspace of your home, this will give white mold spores the opportunity to spread if those other environmental conditions are present. Do you ever wonder why white mold grows on bread so easily? The reason is that bread contains carbohydrates and sugar. Whenever there are airborne mold spores in an environment where bread exists, those spores are going to instantly be attracted to the bread. The spores will then feed on those carbohydrates and sugars to grow bigger. Wood is another form of organic matter that white mold is attracted to. If you have damp wood or any type of wood that gets exposed to moisture for extended periods of time, then white mold is bound to form on it. That is why people with wooden patios and decks need to constantly maintain them. Basements are generally the first place of a home to experience white mold growth. Basements set the perfect conditions for growing mold because they are often damp, dark, and have limited airflow. Plus, basements are so close to the soil where white mold originates. And if you have a basement which floods regularly, it will be even worse. Plants are an abundant food source for white mold. When the airborne mold spores land onto plant leaves, it will cause the plant to have a fungal infection. For this reason, gardeners will leave space into between their plants. If plants are too close together, there is not enough air circulation for the wind to blow the spores off the leaves. It will be even worse when it rains because all the water will be retained on the top of the plants rather than in the roots underneath. Cheese can provide a lot of nutrients for white mold. Any cheese that is exposed to moisture and air will attract white mold very quickly. That is why you must always keep cheese covered and refrigerated to prevent mold growth. If you have white mold on your walls, then chances are that it is on your basement walls. Otherwise, your roof might be leaking water into the structure and causing white mold to form on other walls in your home. The concrete and drywall of the structure can attract white mold if moist conditions are present. Sclerotinia stem rot is a type of white mold and fungal disease that affects soybean plants. Moist conditions will cause airborne white mold spores to spread onto soybeans, specifically their stems. Once that happens, they will no longer be edible. White mold is practically born in the soil. If soil is exposed to a lot of rain or flood conditions, white mold will usually be left in the aftermath. Also, people should not overwater their houseplants because it could cause white mold to grow on the surface as well. There needs to be a strong drainage system so that the soil can stay fresh. Most furniture is made from a wooden material or some other form of organic matter. If you allow humidity to build up inside your home, it could attract white mold to your furniture. A dehumidifier could help if you have regular problems with humidity. Concrete contains a variety of organic materials combined into one. This makes it attractive to white mold. 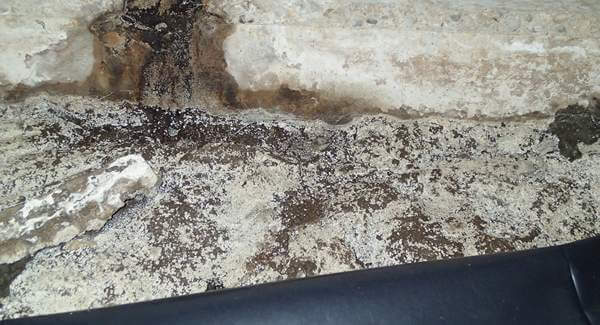 In areas, like basements, which have a lot of concrete and moisture buildup with very little airflow, you can expect white mold to quickly spread onto the concrete floors and walls. Like previously mentioned, do not confuse white mold with efflorescence. In nature, the purpose of white mold is to get rid of dead organic matter. If a tree falls in the forest, white mold will eventually consume the tree until there is nothing left. White mold starts out as small microscopic spores. You cannot see these spores with your eyes, but they are floating in the air all the time. They keep floating until they find an organic food source and moist conditions surrounding it. Once the spores land on the organic material, they feed on it to grow. 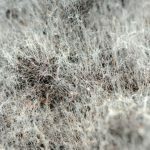 As the spores grow into bigger mold, it spreads fast on the material to consume as much of it as possible. Again, this is nature’s way of eliminating old organic matter so that it doesn’t take up space for new organic matter. Human beings do not like white mold because it is ugly and hazardous to their health. When you see white mold on your walls, floors, furniture or wherever, you need to get rid of it immediately. The simple approach is to wipeaway the white mold (also Pink Mold, Brown Mold, etc) which exists on the surface of these materials. However, you need to also keep the environment dry so that the spores don’t find their way back there. Use a dehumidifier or air conditioner to dry out the rooms which are constantly harboring white mold. Then, continue to wipe away the existing white mold until it is completely gone. If the mold has already damaged your furniture or other organic-based products, then you might have to replace them. Alternatively, if your mold problem is too severe, you might need to hire professional exterminators to kill the mold with their commercial equipment. White mold prevention means keeping your interior as dry as possible(less than 60% humidity).For starters, you’ll want to be sure that your doors and windows are properly insulated so that mold spores cannot get in from the outside. This will also ensure that your interior stays air conditioned always. Next, you’ll want to ensure your gutters are clean and that your roof does not have any holes in it. If you have a basement or attic, keep them thoroughly ventilated. Use a water-resistant coating treatment on the concrete walls of your basement too. Lastly, try to avoid leaving any organic materials out in the open. For example, when you’re shopping for furniture, try to find pieces that are made from synthetic materials. White mold is not attracted to synthetic materials, so these furniture pieces will never be damaged by them. As for food, do not leave any pieces of breadout. Properly seal all your high-carb foods and store them in the refrigerator or freezer. White mold is not considered to be dangerous. If you were to eat bread with white mold on it, you should not feel any different afterward. However, the same cannot be said for all people. If you have allergies or a respiratory disorder, then white mold could cause you to have some health issues. For instance, white mold spores could induce an asthma attack in people who suffer from asthma. And if you are living in an environment with white mold or are constantly surrounding yourself with it, then you can expect to be coughing and wheezing quite often. An allergic reaction is the worst health effect you’ll have to worry about. The other effects just involve a great deal of discomfort. In addition to coughing and wheezing, you can expect dry eyes, difficulty breathing, and a very damp smell in the air. Although white mold will not kill you directly, it could eventually cause you to have other serious health problems, depending on your current state of health. Plus, you need to consider the health of your family, friends, and anyone else that might step onto your property. You certainly don’t want them to get sick from the white mold on your property, right? So, consider white mold to be a serious health risk. White mold spores will always exist in nature. As soon as you step outside, you are going to expose yourself to them for the most part. But, as long as you don’t provide these spores with the fuel they need to grow bigger, they will not pose a problem to you. Just keep your home sealed and dry while reducing the number of exposed organic materials that are inside. 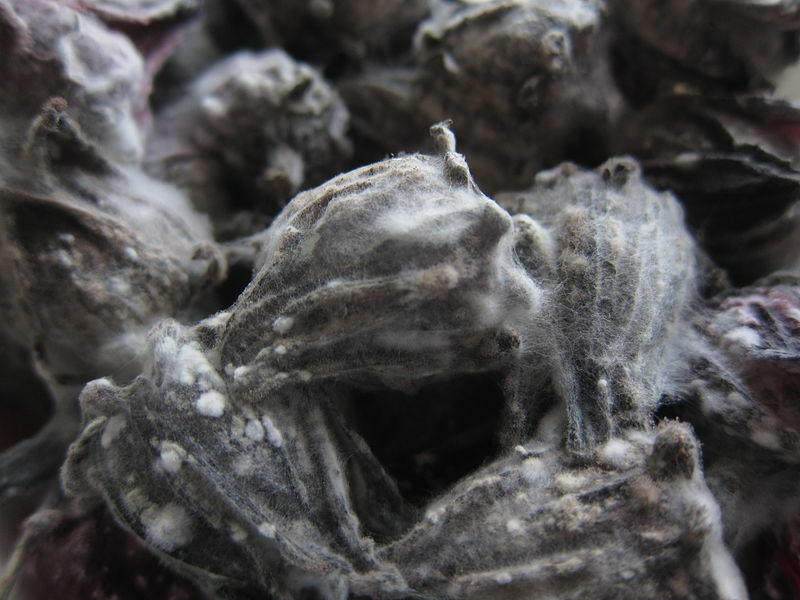 Eliminating white mold is not something that you should postpone until a later date. 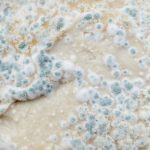 The mold (read more: Black Mold, Red Mold, Green Mold will make people uncomfortable and it could potentially damage your furniture and home if it continues to spread. If you want to save your property and keep your environment clean and healthy, remove any existing white mold as soon as possible. Then take the necessary precautions that were discussed to prevent white mold from ever coming back into your home again. Previous PostRed Mold: Eastern, in Shower, on Bread, and HOW-TO Get Rid of!